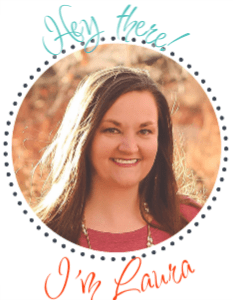 A year ago, I purchased an Instant Pot and life as our family knows it changed for the better. I have been cooking more at home and because I can put frozen meats in their and it cooks in under an hour typically, life as we know it has become easier and healthier. This inspired me to put together this round up of the 20 most AMAZING low carb instant pot recipes! As you know I am a type 2 diabetic. In order to keep my blood sugar in a good range, eating a low carbohydrate diet is very important. I will be the first to tell you that I am NOT the best diabetic, that I cheat on this diet constantly and that everyday is a work in progress, however, that progress gets easier to attain as I find more and more recipes to add to our meal plans. I scoured Pinterest and found several low carb instant pot recipes that I am either dying to try or have already tried and loved! Check them out below and give the authors a little love on their posts by clicking through! First up is this Mexican Shredded Chicken from Keto Connect. I have tried this and it is a HUGE family favorite. The spice is just right, the recipe works great in an Instant Pot or similar pressure cooker and is absolutely scrumptious in some romaine lettuce wraps with a little cheese on top! 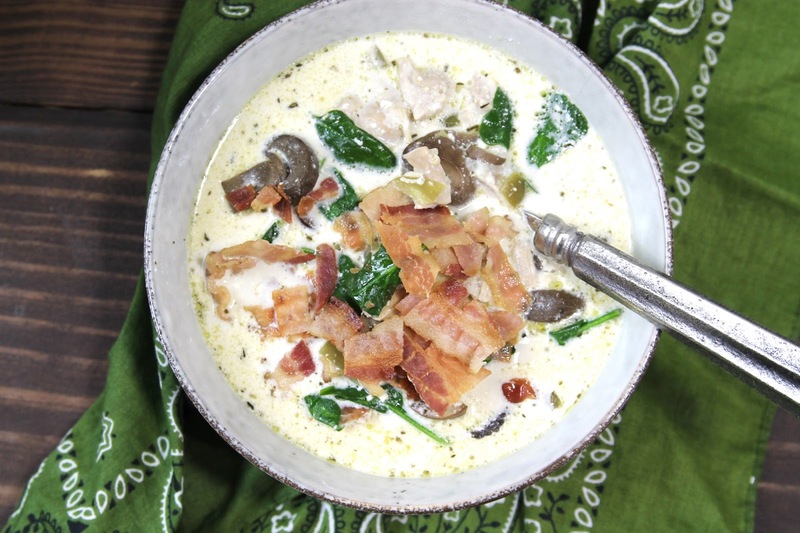 This low carb zuppa toscana from Gal On A Mission, is on our meal plan this week! I cannot even wait. It looks amazing and so easy to make too! Side note, if you can make it in a slow cooker, you can almost always adjust the time and put it in the instant pot. For this recipe I would saute the sausage, add the liquid ingredients to fill the pot 1/2 full and then add the veggies then seasonings atop that and cook on soup mode for about 20 minutes. Super easy and amazing low carb instant pot recipe! Ribs are something that our family could live on. My husband loves them but in the oven or grill they can take forever it seems. Not in the Instant Pot! 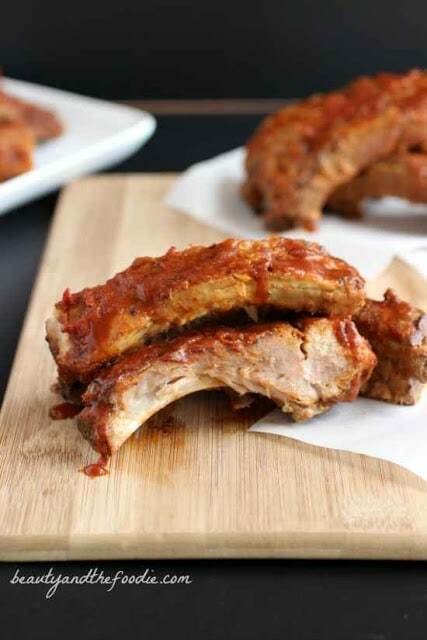 This BBQ (low carb) ribs are super yummy and easy to make. You can get the recipe from Beauty and the Foodie here. 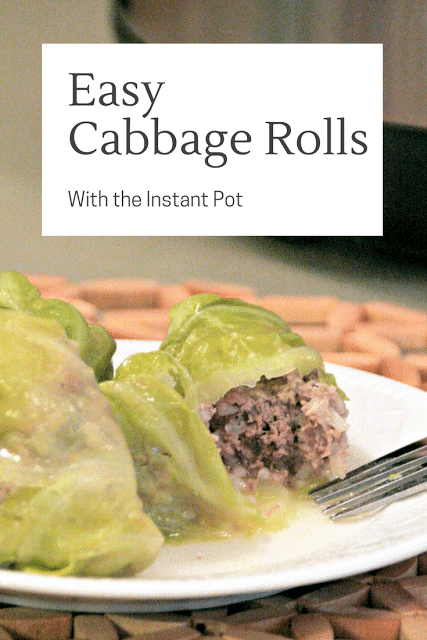 One of our personal family favorites are cabbage rolls. These are not as low carb as I would like but they are easy to adjust if you need an even lower carb option. Swap the white rice for whole grain rice or even riced cauliflower. It is still yummy either way! 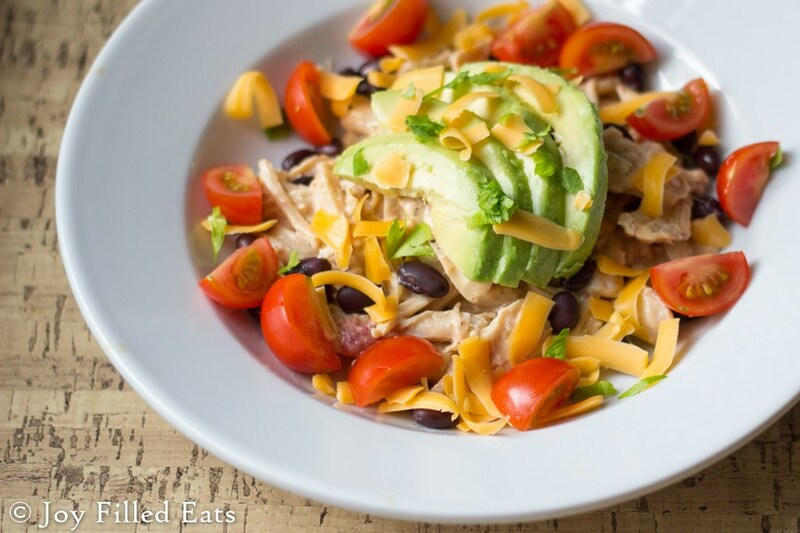 Years ago my friend invited me over for dinner and she made these Weight Watchers avocado lime chicken tacos that she prepped in the slow cooker. I shared this recipe shortly after that and now I cannot go a week without eating all of the chicken tacos! 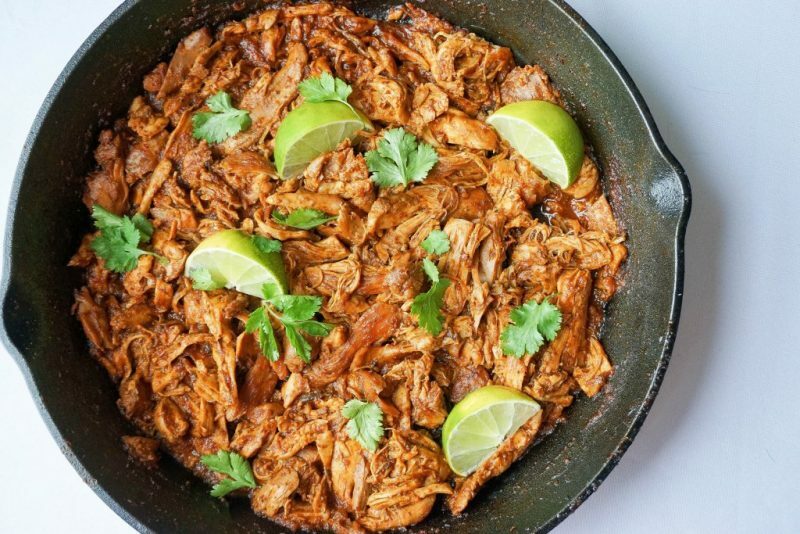 I adapted this a bit to make it more low carb by using cloud bread as a soft taco shell and the chicken is easy to adapt and add to this awesome list of low carb instant pot recipes! YUM! On of my favorite uses for the instant pot is steaming veggies. It is AMAZING and seriously makes the best textured cauliflower mash ever. I used this recipe last week and my family FLIPPED out at how creamy and tasty these were. Take a look at all the amazing recipes from Kalyns Kitchen and this recipe for cauliflower mash! So I have to admit that I made this recipe with pork but it was a great seasoning and easy to make for a quick weeknight dinner. This 4 ingredient salsa verde chicken dinner is just what our family ordered! We will definitely be trying it on chicken soon, but the pork was great as well! Take a peek at the recipe from My Montana Kitchen. 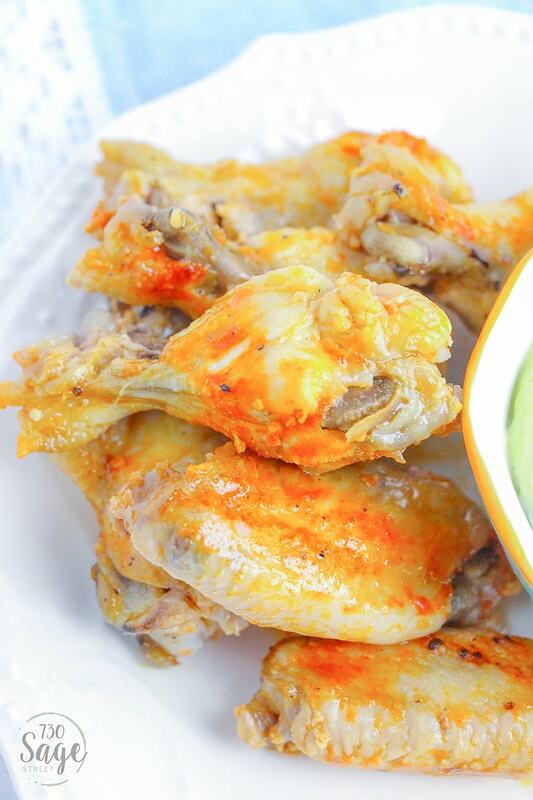 After trying this recipe from 730 sage, I have never been more in love with instant pot hot wings. This is easily the best recipe on the web and has our family eating wings nearly on a weekly basis. The chicken falls of the bone and if you are looking for a crispy texture, you can take them out, pop them in the oven on broil for a couple minutes and boom, you have fall off the bone crispy hot wings that everyone will love. Get the recipe here! If you have been living the low carb high fat lifestyle, then you know all about how important the good fats are to your diet. Fat bombs are great and because your body stores energy as fat, they also help your body recognize that instead of using sugar (carbs) as your main source of energy, that it should source your fat stores (this is what helps you lose the weight)! 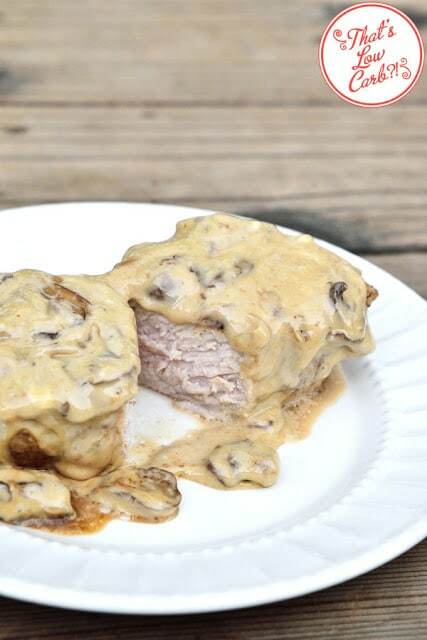 I have not tried these low carb fat bomb pork chops from Thats Low Carb, but I have them on the menu this upcoming week, so I will keep you posted. They look amazing! 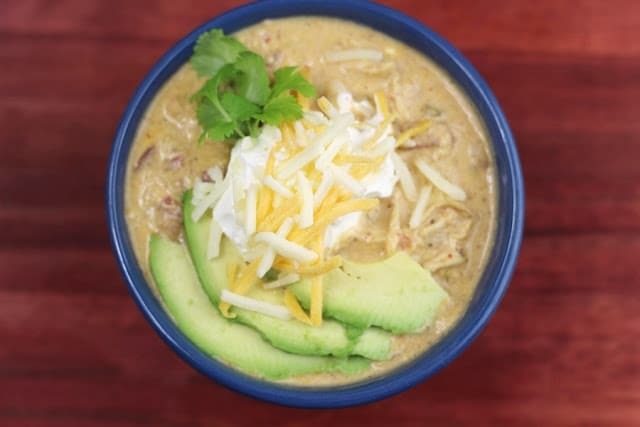 Chicken chili is life and OMG did our family fall in love with this recipe from Reviews by Pink for instant pot chicken chili with no beans! Rich, creamy with just the right amount of spice! You just have to try it. Find the recipe here. This mama is on a budget and ground beef is in that budget. 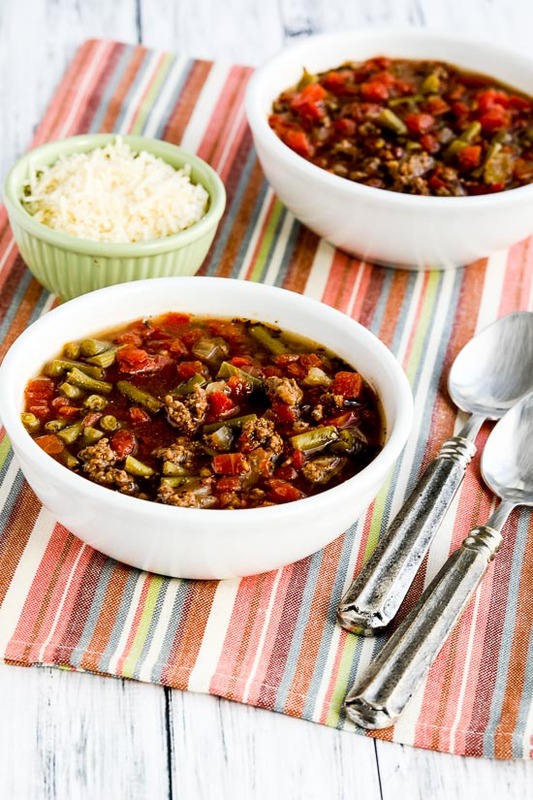 I am always ready for a good soup so I added this recipe to our family menu plan. Can’t wait for a cold day to put this easy recipe in the instant pot. 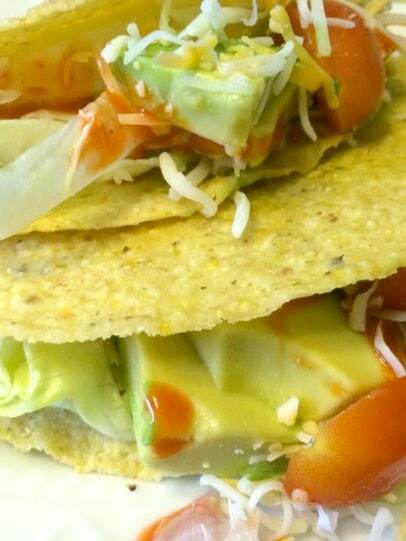 It looks so good and of course I am sure it is because Kalyn from Kalyns Kitchen never disappoints! Get the recipe here. This was literally the first recipe I tried in my instant pot and I will always love it. Joy Filled Eats shares this simple recipe that is sure to please. 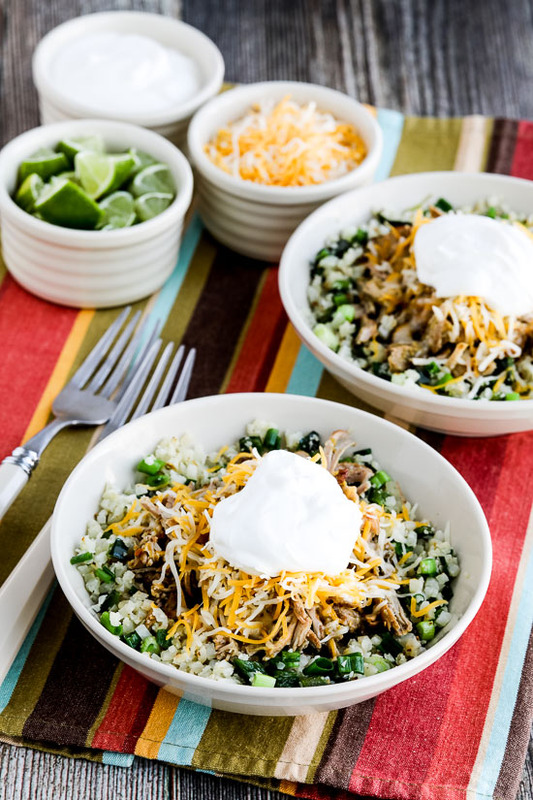 I skip the beans as a topping but the flavor is still amazing and my kids beg for me to make this. This recipe had me at Green Chili. Growing up in Colorado green chili is life. This low carb green chili pork taco bowl is at the top of our families must try recipes. I have all the ingredients and I just need to put them in motion in the next week. You can find the recipe and ingredients here. 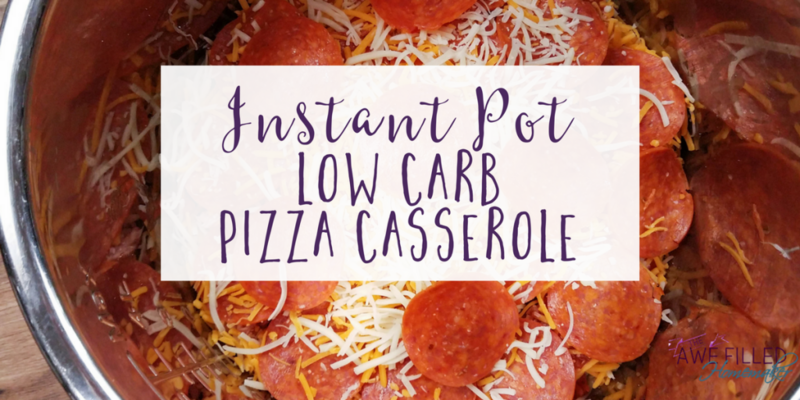 Awe Filled Homemaker put together this delicious low carb instant pot recipe for pizza casserole. We just had this the other night and it was just too good to not include in this round up! The recipe is here and you just need to try it! 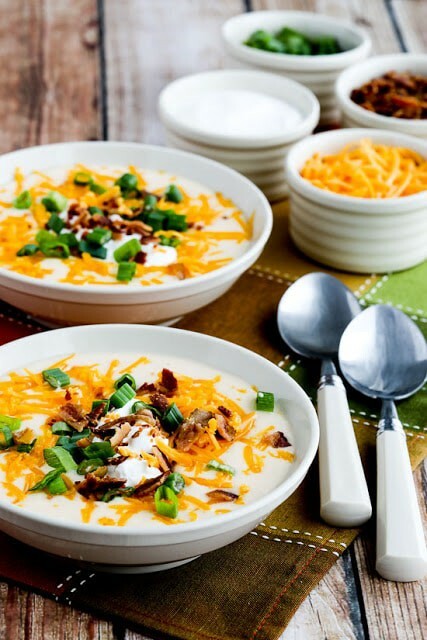 I have never tried cauliflower soup, but just looking at this photo has my mouth watering. I imagine it tastes similar to potato soup which this carb loving mom needs in her life. You can find the recipe here. If you have not heard of crack chicken, you have clearly not lived. 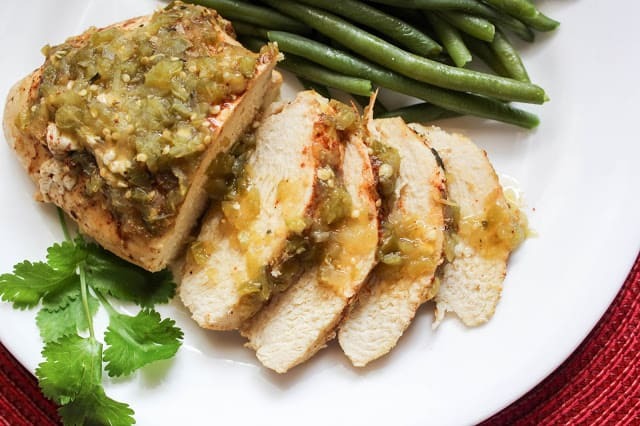 This is the easiest and most flavorful recipe from Adventures of a Nurse. I cannot get enough of it and combine that with low carb cloud bread and you are basically eating a melt in your mouth juicy and full of flavor sandwich that your taste buds will be begging for! 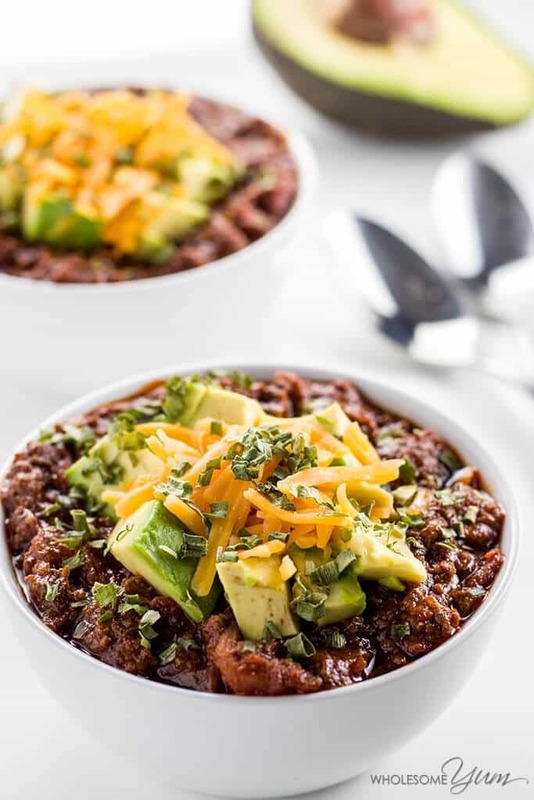 Low carb chili is a must have on any busy moms menu. 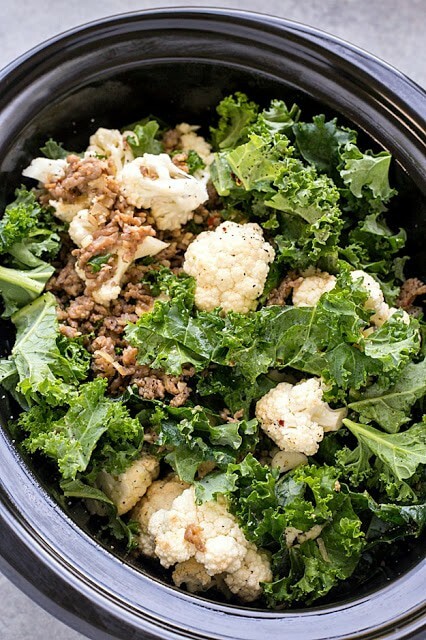 This awesome addition to our list of low carb instant pot recipes is paleo, and gluten free recipe from Wholesome Yum is very good and easy to make. Bring me more! 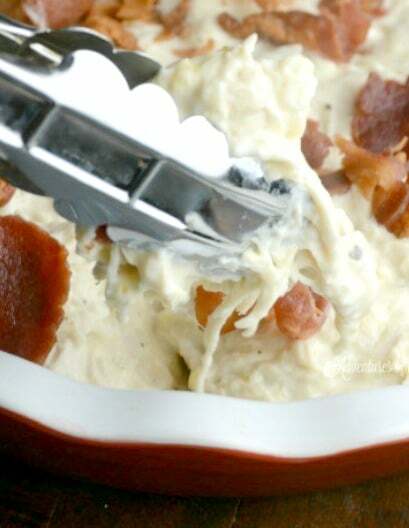 Chicken Bacon Chowder is a definite MUST EAT and make in the instant pot. I love that you can add in various items to bring in more flavor and that it really is simple to make. These one pot meals are awesome and 5 dinners, 1 hour has meal planning down to a T with this recipe! 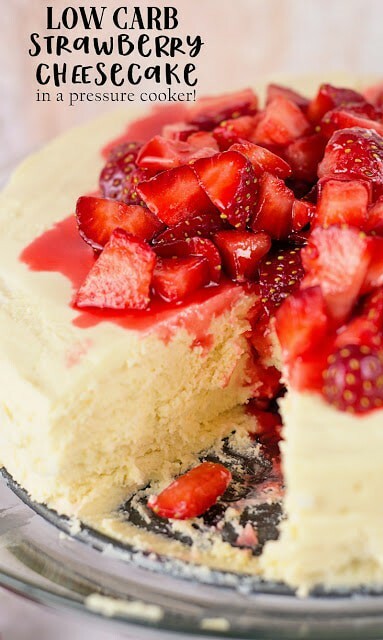 If you have looked at Pinterest and Instant Pot you will see cheesecake. It is an Instant Pot staple, but often, finding a low carb option can be really difficult. 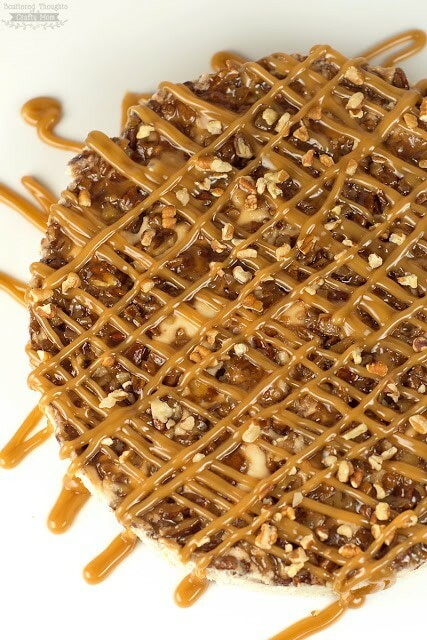 This pecan praline cheesecake is a great low carb option. One thing that I would adjust is making a low carb caramel sauce which Jaime discusses in the post. I am totally making this for Thanksgiving this year though! Another cheesecake that looked too good to pass up was this low carb crustless cheesecake. I just need it in my life and honestly, giving up sweets is so difficult for me that having some good options for dessert when the craving calls is important. The bonus is that I could whip this cheesecake up in the Instant Pot in no time at all! 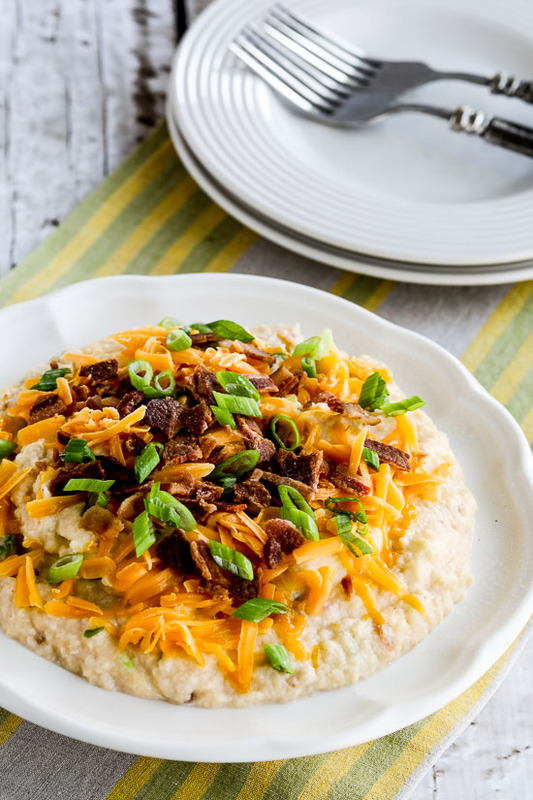 Do you have any low carb Instant Pot recipes that you just love too? Share in the comments! This post contains affiliate links. If you purchase from my link, I make a small commission. This helps keep my content free! Thank you for supporting me! Previous Post: « Thornton Triceratops Talk: Your Questions Answered!